May We All Heal (MWAH) is a closed online support community consisting of parents and grandparents grieving the death of a child. Please read this page in its entirety prior to sending a request to join the MWAH peer support group. May We All Heal offers a safe and secure place to get support, comfort, advice, and ideas from others who are also grieving the death of a baby or child. It’s a place where you can share things about your child or grandchild that you may not have shared elsewhere because others who haven’t experienced such loss, simply may not understand. MWAH is a bereavement support group for parents and grandparents grieving the death of a baby or child. It is a closed and confidential group, meaning that no sharing may occur outside the posts on the MWAH FB page. We encourage sharing within the group and desire to maintain that this is a safe place to do so. What is defined as child loss for the purpose of the MWAH peer support group? The MWAH peer support group includes and welcome families who have experienced all instances of child loss are welcome, including pregnancy loss, stillbirth, neonatal death, infant death, childhood death, adolescent and pre-teen death, and the death of an adult child. We also welcome and include all grieving parents regardless of the cause of death, be it miscarriage, unknown causes, illness, substance causes, accidental death, death by suicide or any other cause. 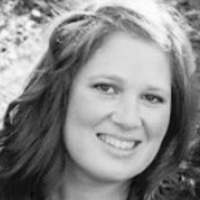 Lisa (USA) has lived most of her life in Connecticut with five years in New Mexico while earning her nursing degree. Lisa and her husband, Scott, are parents to their surviving twin, William. After a healthy and uncomplicated pregnancy, William and John made their arrival 14 weeks early. Lisa still does not have answers as to why she unexpectedly went into labor. Those early days caring for a critically ill infant and new baby included several twists and turns on the road. John remained with them for 10 beautiful days, a time Lisa cherishes and for which she is so grateful. Now a few years into her grief journey, Lisa has found helping and supporting others in the MWAH peer support group soothing to her broken heart. She manages membership requests and also welcomes parents joining the group. Tessa (USA) lives with her husband and six-year-old daughter in Los Angeles where she loves being a mom and teaching yoga. In 2016 against many odds her second daughter Hazel was born. She had been diagnosed prenatally as having the challenging Trisomy 13/Patau Syndrome. Hazel was earth-side for fourteen miraculous, life-altering days. Tessa considers the blessings of BOTH of her daughter’s lives to be on-going. She is so grateful to have found the May We All Heal Community and believes that in connecting with others who are also in this imposed club of loss, we find that we are not alone. We are together. One breathe at a time. In sharing this message she continues to heal. Tessa is responsible for the ‘Grief Yoga’ segment, where she teaches the group about yoga principles for healing following loss. Ariane (Germany) studied English and Broadcast Media and works professionally as a journalist/photographer and translator. Her grief journey began in 2009 with her first miscarriage. She is now the mother of seven children and is raising two beautiful living daughters. When not writing, Ariane enjoys sewing. Both activities help her healing process. 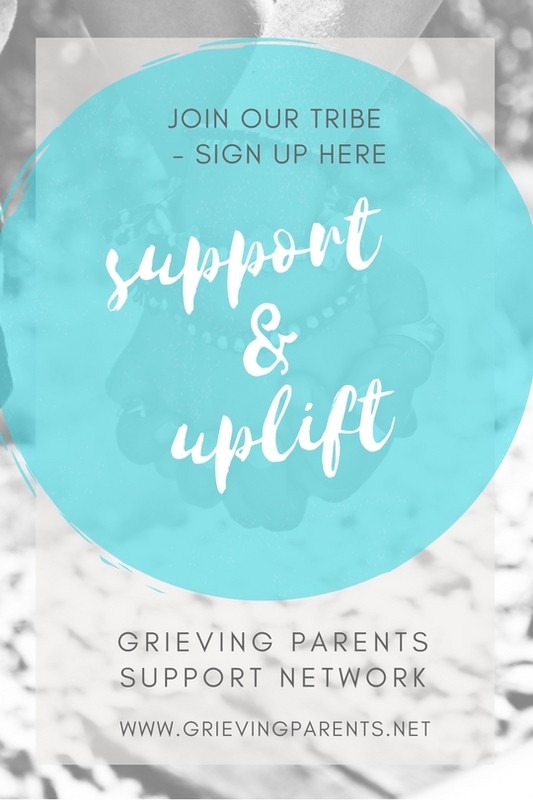 Being a part of the MWAH peer support group admin team allows her to help other parents process their grief and also share her own experiences of love and loss. Ariane finds that helping others is also helping her on her personal grief journey. Her story of loss and healing is included in the book, Surviving My First Year of a Child Loss: Personal Stories from Grieving Parents. Ariane is responsible for theme days and discussions. Submit a request to join. Please note: all requesting persons must answer the membership questions for consideration for membership in the group. This is to ensure the purpose and safety of the peer support group. Certain days of the week are designated Theme Days. On these days, members are invited to share a variety of things about their children, their grief journey, books they may have read, and more, relating to the theme topic. Memory Sharing Monday: We invite you to share and talk about pictures of your child, special memories or the significance of their child’s name, amongst other things. Tranquility Thursday: We share what has given us the most peace and strength throughout our grief journey, or, on the other hand, what has not been helpful or has been challenging. Introduction Friday: Fridays are for sharing a bit more about ourselves and our children. What is your story? Perhaps you have a page relating to your child, loss or charity? Share Saturday: Share the things that have touched you or that your child has inspired you to do. It could be your blog post, a quote that really struck you, memorial items, or a non-profit/charity in honor of your child. Let’s Connect: Connect with other parents whose situation is similar to your own in terms of the age at which your child passed and the circumstances surrounding their death. Supportive Sunday: On this day we freely share our needs and struggles. What questions do you have for other parents? What is currently difficult as you personally journey through grief? Memorials & Tributes: Share what you have done in the past or plan to do in the future to memorialize or in remembrance of your child. Book Recommendation Day: Share books that have been most helpful to you, offer recommendations for others dealing with specific situations. Share an Article Day: Share articles that have inspired or reassured you in your grief, or have been particularly helpful explaining your grief to others. We invite you to add yourself to our Google map. With the map, members may locate parents nearby and request or offer peer support and encouragement. You may choose to meet up with fellow group members, or simply reach out and communicate via private message. Learn more about the purpose of this map, how to add yourself, and how to connect with other members.